Fisher Price: I Can Remember is a puzzle game released in 1990 for the Nintendo Entertainment System (NES) by GameTek/IJE Inc. under license from Fisher-Price. 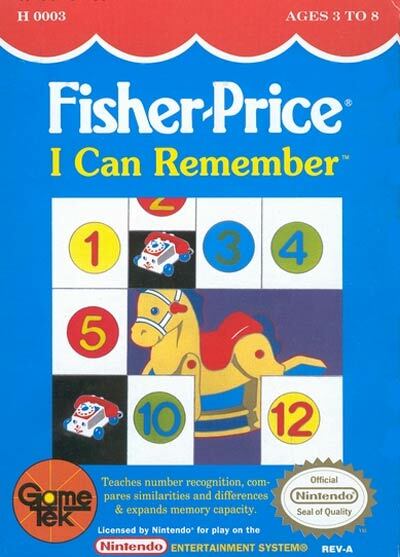 Fisher-Price: I Can Remember is a puzzle-memory game in which you flip one card and try to find the matching card in the laid out deck of cards. The player with the most matching pairs found wins the game. You can play by yourself for pleasure, with another friend for double your fun, or against a challenging yet predictable computer opponent.